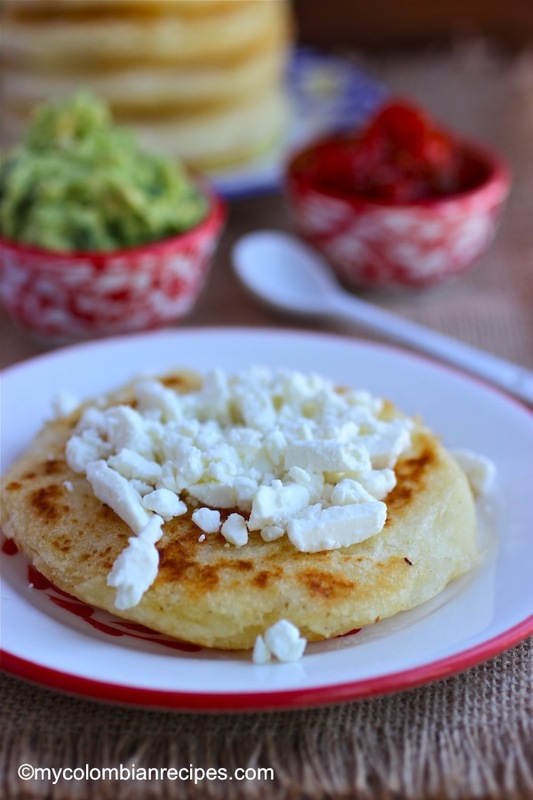 Arepa is a patty made with precooked corn flour which can be baked, grilled or fried. They are popular in Colombian and Venezuelan cuisine, and are a very versatile food that can be eaten for breakfast, lunch or dinner. 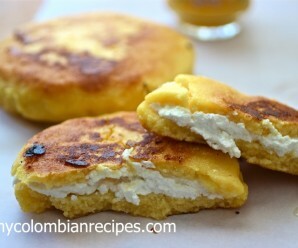 The most popular arepa in Colombia is made with corn flour (masarepa). 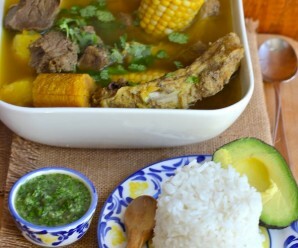 However, we also make them with fresh sweet corn, hominy corn, plantains and cassava. 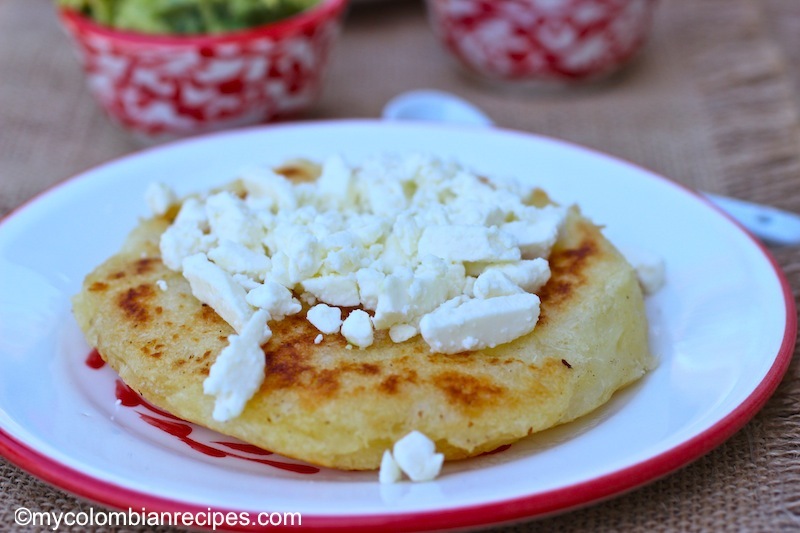 The recipe I am presenting to you today is made with yuca, masarepa, butter, milk and cheese. 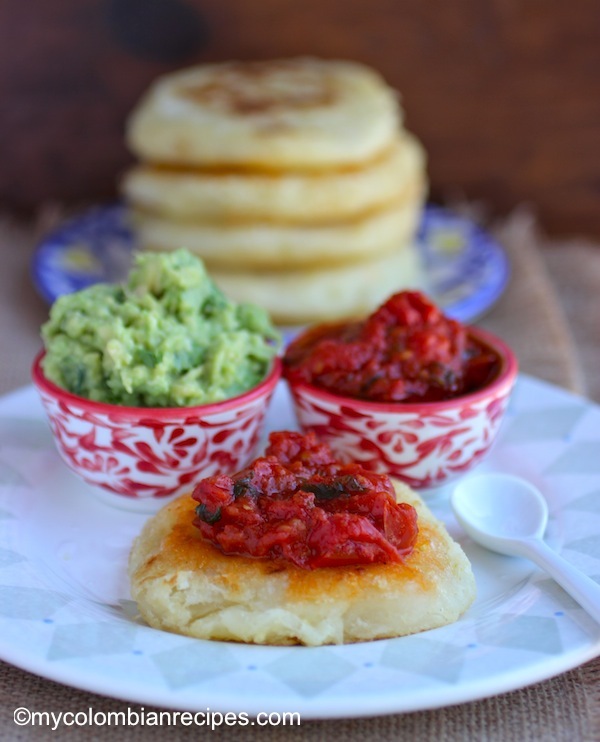 Served with cheese, hogao or guacamole on top, it’s hard to resist going back for seconds. The outside is crispy and golden, while the middle stays wonderfully moist. 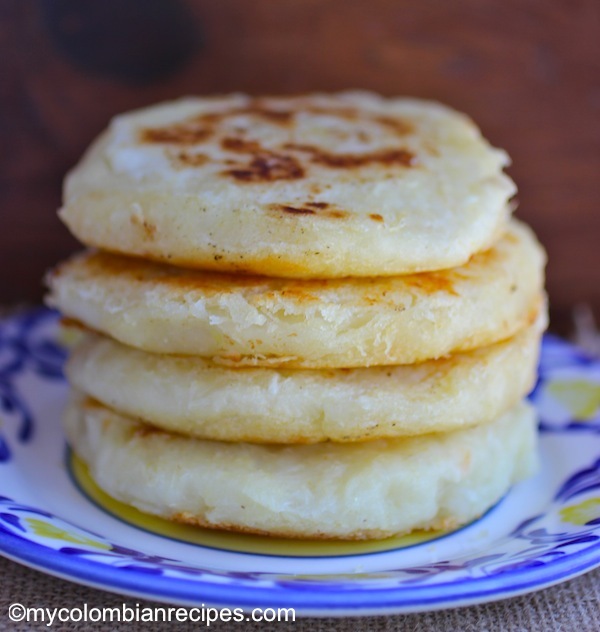 These Arepas de Yuca are delicious as a side dish or paired with hot chocolate for breakfast or an afternoon snack. 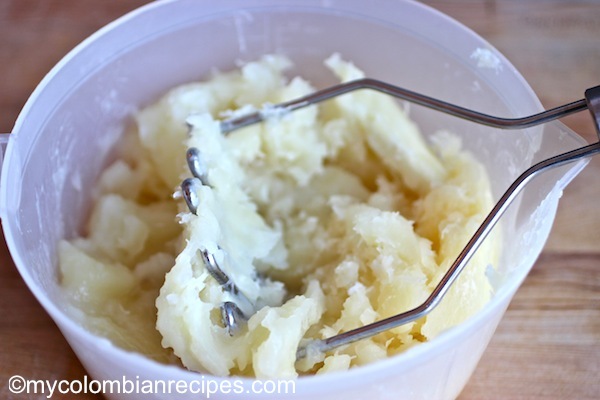 So if you are even remotely fond of yuca, I thoroughly recommend this recipe! 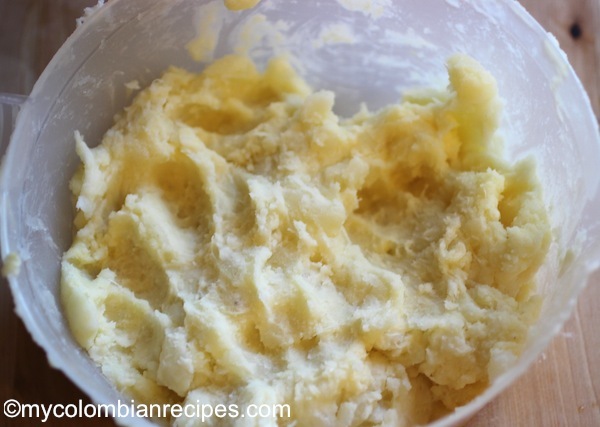 Mash the yuca and add the masarepa, milk, butter and salt to your taste. Let mixture stand for five minutes. 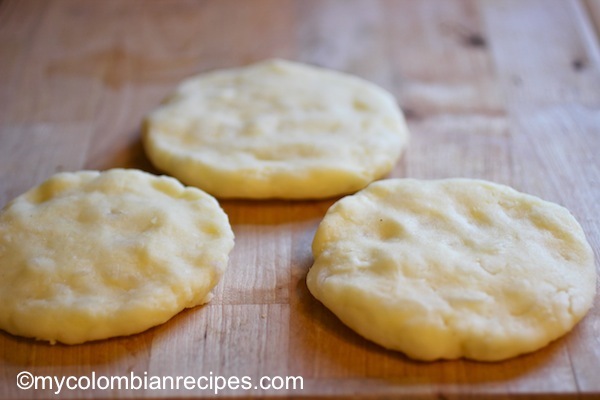 Make small balls with the yuca mixture. Shape the dough into thick cakes. 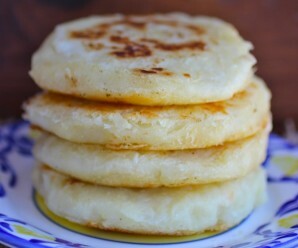 The yuca arepa looks so good. 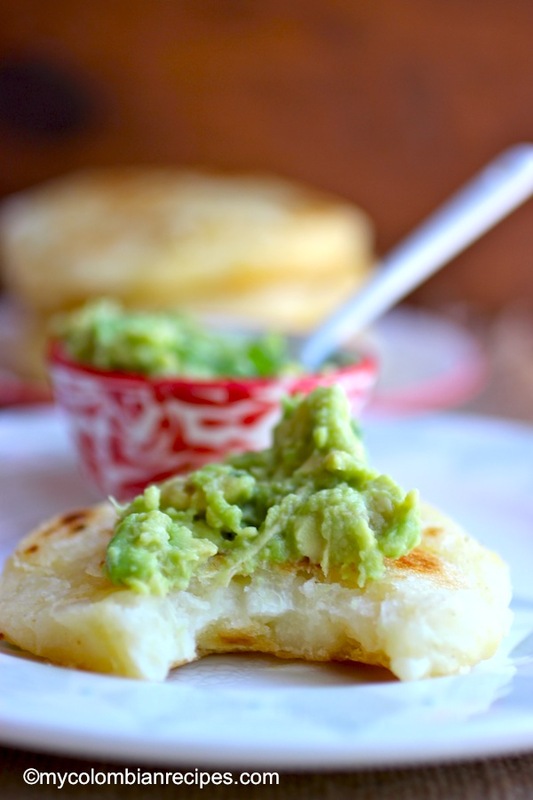 I have not cooked with yuca in too long and this recipe is very tempting. Very hungry now, wish I had some here. 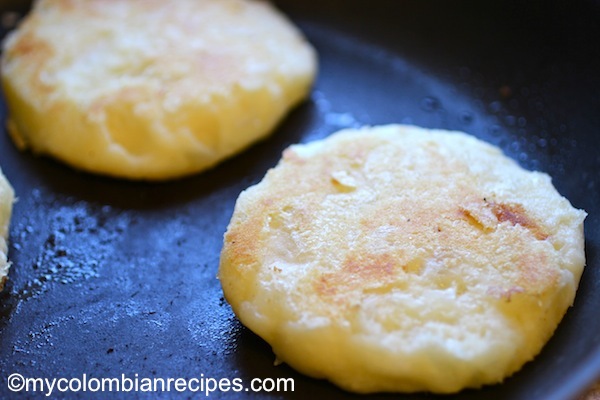 I have never cooked with yuca…these patties (pancakes?) look awesome, Erica. Angie thank you for putting up this website and reminding me of our Latin America culture. Yuca is one of my favorites ingredients when cooking stews and sancochos or any other soup. When I was young we also used yuca as glue for small jobs and it did a very good job. 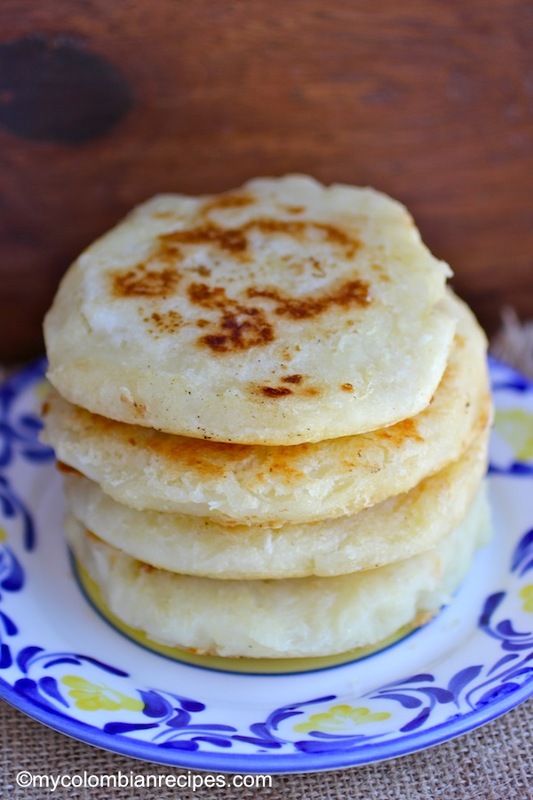 However, I have never done or eating yuca arepas. 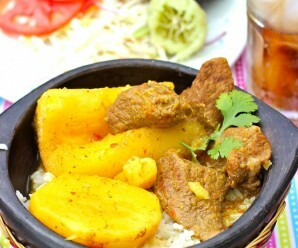 This look delicious due that the Yuca has this wonderful soft – sweet taste. 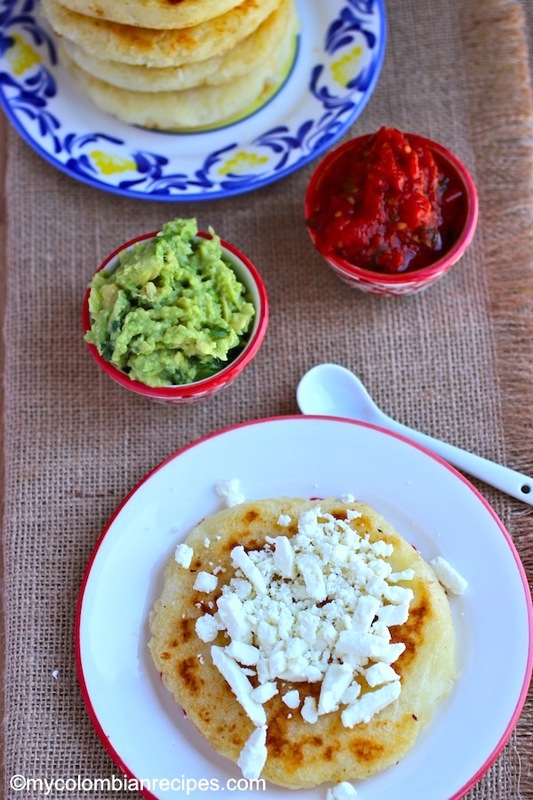 i’ve never eaten any sort of arepa but they always look so delicious. these in particular look soft and fantastic! Oh I love yuca, but do not have often since I moved to US…this sound and look delicious, I love the texture of it. I am Brazilian and I buy yucca/cassava at Walmart. It’s in the frozen vegetables section, close to the latin /asian frozen food. Cook for 15 minutes according to the package directions, let it cool and toss with olive oil, garlic salt, pepper and seasonings to your liking. Roast at 400 F , till it gets browned and crispy about 30/40 minutes. No need to fry. Good luck. (The brand is Goya). I have made these many times, and they are absolutely wonderful! Thank you so much for this great recipe! Hi, thank you for the recipe. The ingredients list calls out for mozzarella or white cheese but is not in the directions, do you mix it with everything or is just to eat them with the cheese after they are done? Where does the grated Mozarella go??? ?